We were expecting to see Pikmin 3 this year: you were expecting it, we were expecting it. It wasn't shown off, though. Why not? Speaking at the Nintendo Developer's Roundtable, Shigeru Miyamoto explained that, had the game been shown off today, it would have been lost under the reams of information about 3DS, Zelda and more. It's hard to argue – we posted around 25 news pieces during the last 24 hours – and although we have a special place in our hearts for Pikmin, it's likely Olimar and crew would have been lost in the rush. It's still being developed though, so don't worry: we'll have shots of Pikmin 3 as soon as they're available. I bet Pikmin 3 is for the 3DS. They didn't really announce anything for next summer for Wii, so maybe this could be their summer game. We'll just have to see. i wantz it on the 3DS! Pikmin 3 is first not a game I thought would be at E3 and second a game that I don;t want. Ill wait patiently for this, but hopefully they have some great ideas for this game. Yeah summer '11 sounds about right. Lol...Imagin pikmin shooting out of the screen at your face! EDIT: As you can see, Eggy, it was just as easy to say without the profanity. Consider this your warning. They had better not put it on the 3DS. That would be even worse than what they did to pikmin 2. This is too much! Too much, I tell you! 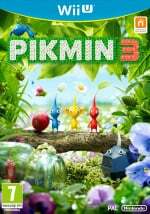 This year despite a no show wasn't a disappointed since i agree Pikmin 3 isn't as popular as Zelda and knowing Miyamoto his creation must be the center of attention. Either now a 3DS game or to be launched after E3 2011 as has been said. Either way we get a new Pikmin so all is good. 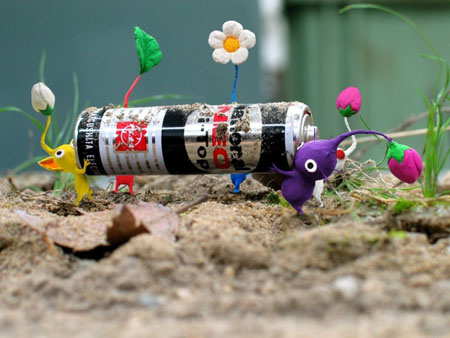 I shall enjoy New Play Control Pikmin in it's honor. Hopefully Nintendo releases New Play Control Pikmin 2 (and Chibi Robo!) before the end of the year. Although I think the 3DS would have been the perfect system for a Pikmin game. It would make SOOO much more sense. The only problem is we need a Wii U launch title so it has to be on the home console. If you ask me Pikmin 3 & Luigi's Mansion 2 should have switched systems. It's a good thing Pikmin 3 is definitely going to be shown off at this year's E3.